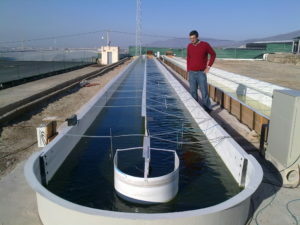 PALMERILLAS Technology Demonstration Centre (TDC) is a platform to develop and demonstrate technologies in microalgae production, integrated for researchers and professors from the Chemical Engineering Department of the University of Almeria and Fundación Cajamar, aimed to develop processes based in microalgae at demonstration scale. 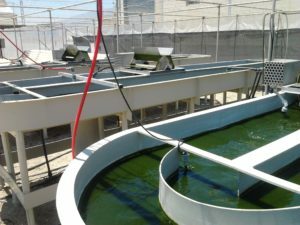 This centre is located in Almería, South of Spain, in one the best locations in Europe for the production of microalgae, because the moderate temperature and high solar light available. On this location microalgae can be efficiently produced all the year around. 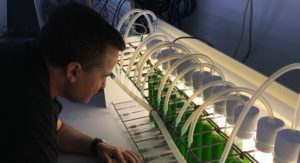 The major objective is to develop and demonstrate complete commercial processes based on microalgae, in collaboration with companies as previous step to go to markets. For this, a multidisciplinary team of experts in different fields (genetic, microbiology, biochemistry, chemistry, chemical engineering, industrial engineering, informatics, etc.) from the University of Almería and Fundación Cajamar are involved. Also experts from other universities and research centers collaborate with this platform and this platform is also open to collaborate with research centers to develop new process or demonstrate it at preindustrial scale. Modelling and optimization of photobioreactors. Production of high-value microalgae biomass in closed photobioreactors. Wastewater and flue gas treatment using microalgae. Processing of biomass to obtain high and medium value compounds. 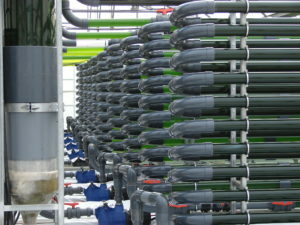 Research facilities includes all the necessary equipment to perform research in microalgae field as laboratory, inoculum chamber, small and large photobioreactors from 100 L to 20 m3, pure CO2 and flue gases supply, automatic medium preparation and sterilization units, continuous centrifuges and freeze-dryer. All the facilities are continuously online monitored to facilitating the collaboration with companies and research groups out of Almería. Laboratory available at PALMERILLAS Technology Demonstration Centre (TDC) includes all the necessary equipment to perform analysis of the biomass and water used during the experiments. Classical equipment for dry weight measurements as filtration and centrifugation units are available, in addition to microscopy area, chemical analysis of water including nitrogen, phosphorous, COD, BOD, TKN, etc. Kits from Hach-Lange are used as routine method for most of measurements. This equipment is also used to determine the biochemical composition of the biomass as proteins, lipids, pigments, carbohydrates, etc. the combustion heat of the biomass is measured in a calorimeter PARR6100 whereas the available light inside the cultures and photosynthetic response of the cells is measured using WALZ sensors QSL-100 and Junior-PAM fluorimeter. An inoculum chamber is also available to produce inoculum for the large reactors and to perform experiments under fully controlled conditions at small scale. Marine and freshwater strains are maintained on this inoculum chamber, experiments being performed to optimize their production conditions as previous step to use whatever strain in outdoor reactors. 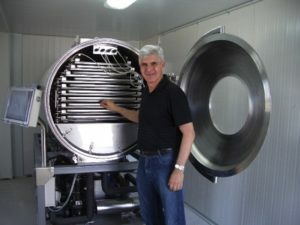 The pilot scale photobioreactors area, of 500 m2, includes several small scale photobioreactors of different technologies as tubular, raceway, flat panels, and thin layers, among others. These reactors allow comparing the performance of whatever strain in different photobioreactors, and to compare the productivity and production cost according to the photobioreactor technology used. Volumes of the reactors ranged from 300 L to 4 m3, and on these reactors freshwater, seawater and including wastewater can be used. Also pure CO2 or flue gases can be used as requested. Available photobioreactors are fully instrumented to measure the conditions inside the reactor (pH, temperature, dissolved oxygen) in addition to the complete inlet and outlet streams (liquid and gas). Biomass produced from these reactors can be harvested by centrifugation and freeze-dried to be used in valorization processes. The pre-industrial plant of tubular photobioreactors is the most relevant facility available. It is composed by ten tubular photobioreactors of 3 m3 each one, summarizing 30 m3 of total culture volume on 400 m2 surface. The aim of this facility is mainly to produce high-quality biomass of microalgae thus only clean water (fresh or marine) is used, it being sterilized by ultrafiltration and ozone prior to be used. High quality fertilizers are used as nutrients source whereas only pure CO2 is used. The reactors are fully instrumented and monitored for automatic operation 24 h/day, 7 day/week, 365 day/year. All the facility uses food grade materials, pure monocultures of microalgae being produced. Each reactor can be operated individually, including producing a different microalgae strain or the same strain under different conditions thus this plant being really useful to optimize the outdoor production of high-value microalgae strains. Biomass is directly harvested from the reactors and freeze-dried to preserve its quality and properties. Biomass from these reactors is used in animal and human tests, and in market studies in several fields. Two large, 100 m2, raceway reactors are available for research on this area, it containing up to 40 m3 of total culture. The scale of raceway reactors is highly relevant in terms of mass transfer and power consumption. The reactors are fully instrumented, including precise level sensors to determine the evaporation rate and real dilution rate. These reactors can be operated in batch or continuous mode, both automatically, including the preparation and supply of culture medium and the harvesting of the biomass. The variation of culture conditions in different sections of the reactors is measured to evaluate the existence of gradients on these reactors. All the flow entering and exhausting the reactors are also monitored. These reactors are used with clean water not sterilized, using fertilizers as nutrients source and pure CO2 or flue gases as carbon source. One of the major advantages of facilities available at PALMERILLAS research platform is the possibility of continuous monitoring all the photobioreactors, the automatic operation of the systems, and the possibility of harvesting and processing all the biomass produced in whatever photobioreactor. Biomass is directly harvested from whatever reactor using continuous or discontinuous centrifuges from WESTFALIA and ALFA-LAVAL, then it being freeze-dried and stored a 4ºC till being shipped or used. Used centrifuges allow to recover 98% of biomass produced and to concentrate it to obtain sludge or paste biomass with dry matter content ranging from 5 to 35%d.wt. Freeze-dryer allows drying the biomass, up to 80 kg per day, to produce dry biomass maintaining all its properties and compounds. To develop and demonstrate full processes to obtain valuable compounds/product from microalgae is one of the major objectives of PALMERILLAS Research Platform. For this, pilot scale reactors and processing equipment up to 300 L is available in collaboration with Chemical Engineering Department at University of Almeria. Major products of interest includes the production of biofertilizers from protein fraction, carotenoids concentrates, polyunsaturated fatty acids (PUFAs) concentrates, etc. In addition to these equipment accessory facilities as distillation units, filtration units, gas-liquid and liquid-liquid extraction units, centrifugation units, etc. are also available. Also a supercritical CO2 extraction (SCF) unit is available. Moreover specific analytical equipment as gas chromatography, liquid chromatography, elemental analyzers, etc. is also available.